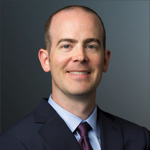 Luke Tenery is a Senior Managing Director at Ankura with more than 15 years of experience handling complex cyber issues covering investigations and forensics, data privacy and security, and security management. He is the head of the firm’s national cybersecurity practice and is based in Chicago. Luke has an extensive background in leading cyber incident response and investigations into a wide array of active and emergent cybersecurity threats. He also has extensive experience applying cybersecurity risk management leadership in threat and incident management, cybersecurity operations, security policy development, and IT project management and implementation, among other areas. Prior to joining Ankura, Luke served at a global risk management and investigations firm, where he most recently rose to deputy cyber practice leader and led another cyber practice group covering incident response. Luke is a certified network penetration tester and is regularly engaged to ethically compromise the security of client systems and simulate attacker computer intrusion activities. He applies information security leadership functions for his clients, conducting risk assessments, compliance and security standard reviews (PCI-DSS, ISO, NIST, GLBA, FFIEC), gap analyses, and security policy development.